My husband and I found this great recipe from a Pinch of Yum website! Creamy Spinach and Sweet Potato Noodles with Cashew Sauce – easy to make, adaptable, gluten free, vegan. Divine and delicious! Drain and rinse thoroughly. Place in a food processor or blender (I got better texture with the blender) and add the 3/4 cup water, salt, and garlic. Puree until very smooth. 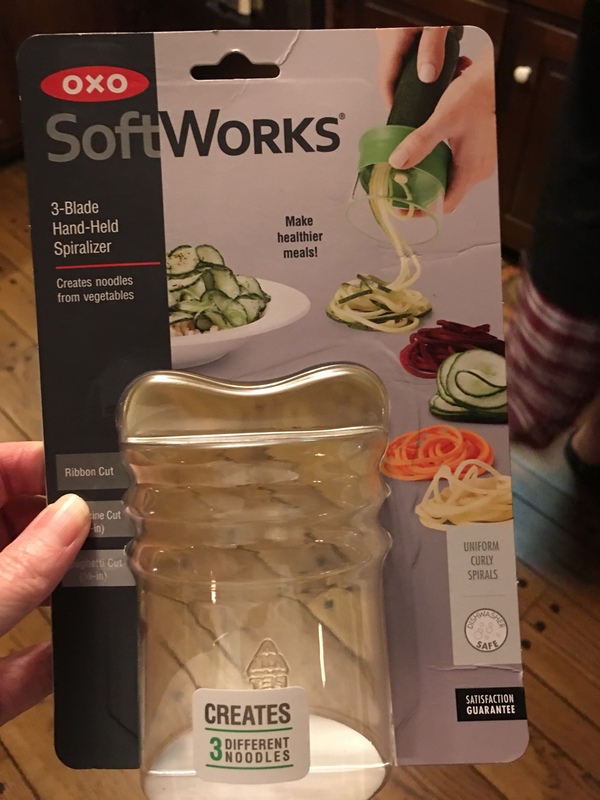 We used this tool to make the noodles.